Discover why so many guests have chosen the cozy accommodations and quiet comfort of Pinehurst Inn Bed & Breakfast. 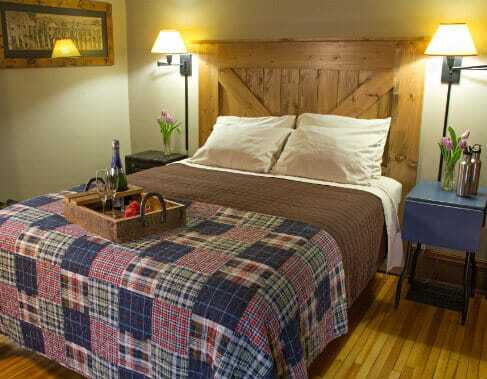 Surrounded by soaring white pines and located near Lake Superior, our B&B is the ideal place for any traveler to begin and end their getaway. From the hearty breakfast, made with many locally-sourced ingredients, to our luxurious guest rooms, you’re bound to have an amazing stay. Guests traveling to explore the Apostle Islands will appreciate our proximity to Lake Superior. Those taking a romantic getaway to Bayfield, WI, can take a peaceful stroll through our gardens or relax in our onsite, outdoor sauna. The possibilities are endless when you stay at Pinehurst Inn Bed & Breakfast. FIND THE PERFECT ROOM NOW! Choose from the charming guest rooms in our Main House, built in 1885, or the spacious rooms in our newer Garden House, built in 2003. Each room has its own personality, though they all feature the classic charm, spa-like amenities and attention to detail that our guests have come to expect. Pinehurst Inn Bed & Breakfast is proud to provide the best possible amenities to our guests, many of which reflect our commitment to the environment. We strive to give a five-star experience while remaining eco-friendly whenever possible. 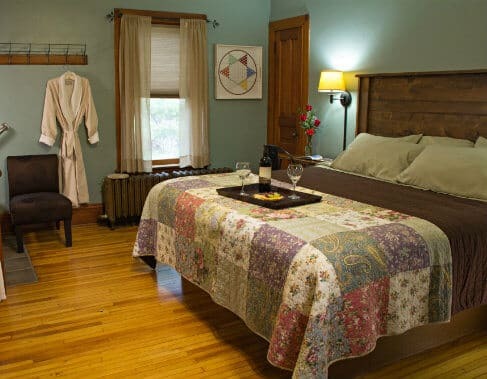 All of the guest rooms at our Bayfield bed and breakfast provide guests with the best amenities, many of which are eco-friendly. 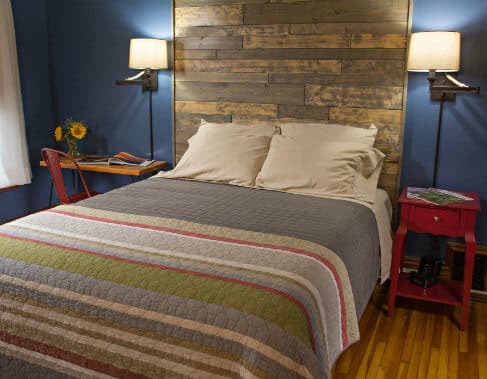 Choose from rooms in the Main House (built in 1885) or the Garden House (built in 2003), both offering beautiful rooms and comfortable accommodations. During your stay, you’ll be treated to delicious breakfasts and outstanding service. 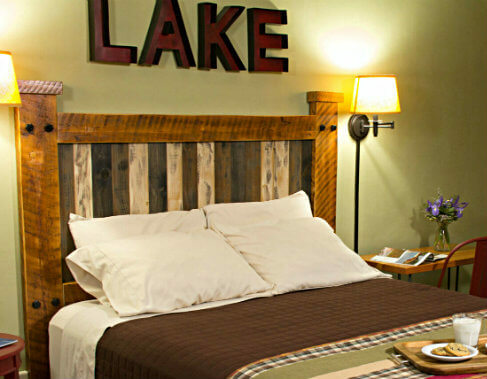 We are located close to Lake Superior, downtown Bayfield, and many other attractions and activities, including local farms and orchards, kayaking on Lake Superior, hiking, CAMBA bike trails, sailing, live entertainment, skiing, dog sledding, and so much more. 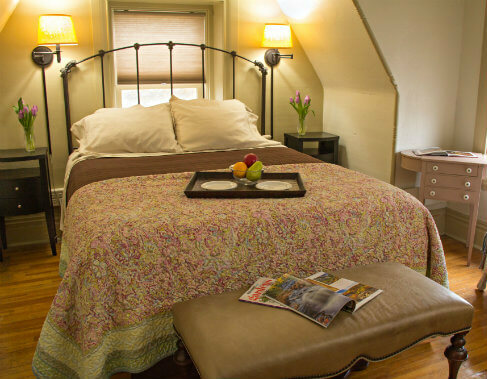 The Pinehurst Inn Bed & Breakfast property is comprised of the Main House and the Garden House. The Main House of the property was built in 1885 by a lumber baron and prominent resident of Bayfield. It is an historic property and includes five guest rooms located on the second and third floors of the house, the breakfast and dining rooms on the first floor where breakfast is served, and the living room on the first floor, which is a common area for use by guests staying in the Main House. The Main House is also the residence of the innkeepers/owners. As such, under 2010 Title III Section 36.104, the Main House does not constitute a “place of public accommodations” within the meaning of the ADA. The property also has a Garden House that was built in 2003. The Garden House includes three guest rooms, one on the first floor and two on the second floor. 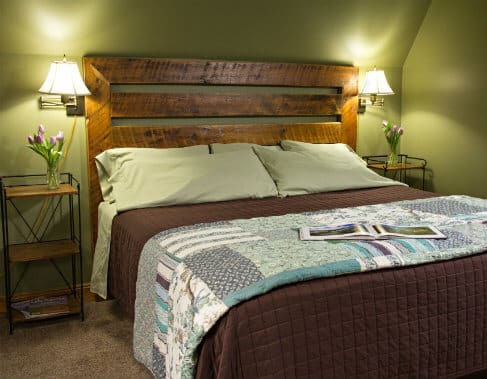 The Birches guest room, which is on the first floor, is handicap accessible. There also is a common area in the Garden House, referred to as the Gathering Room, for guests staying in the Garden House to use, which has a 34 inch doorway. The Gathering Room has a bathroom with a 34 inch doorway, raised toilet and wheelchair accessible lavatory. The Gathering Room also is equipped with a combination smoke and carbon monoxide alarm with strobe light. The driveway and parking area is comprised of compacted gravel. The parking areas are adjacent to the Main House and behind the Garden House. Both parking areas van accessible. There is a drop-off area next to the sidewalk leading to the front of the Garden House. The sidewalk to the Main House connects with and is accessed from the driveway and parking area adjacent to the Main House. The sidewalk that leads to the Main House is 50 inches wide. There are five wide brownstone stairs with railings on both sides to access the porch and Main House. Due to the width of the stairs, you can only hold on to one of the railings when going up or down the stairs. From the porch, there is a step up to the vestibule of the Main House leading to the foyer. 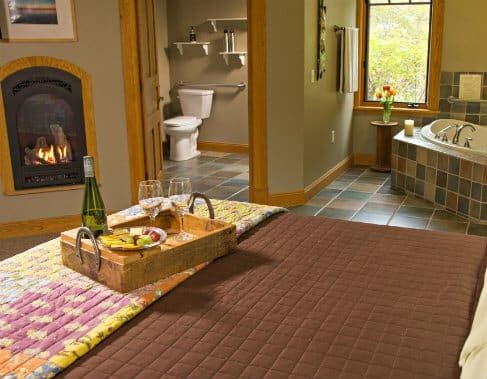 There is no public bathroom in the Main House, only the bathrooms in each of the guest rooms. The Birches Room, located on the first floor of our Garden House, is ADA accessible. The front of the Garden House is accessible from a 40 inch wide curved sidewalk that is adjacent to the inn’s driveway and drop-off area. There are no stairs for the front access to the Garden House. Note: There are stairs to access the back of the Garden House. The exterior doorway opening for the front of the Garden House is 34 inches wide, the front door has a lever handle, and there is a low tapered doorway threshold onto the tile floor in the foyer area. The Birches room is directly to the right of the entry door, and the interior doorway to the Birches room is 34 inches wide, the door has a lever handle, and there is no doorway threshold. The floor of the Birches room is tile and carpet. 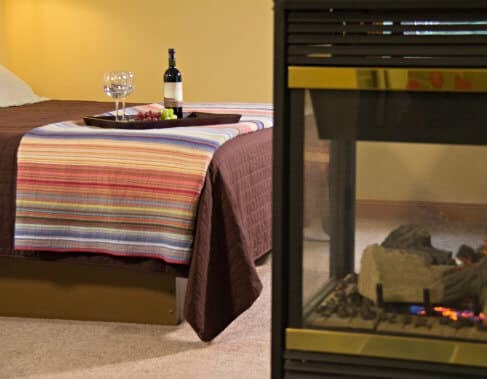 The Birches room has a king bed, two beside tables, two bedside wall mounted lamps, two large upholstered chairs, a side table between the chairs, a wall mounted TV with remote control, and an in-wall fireplace. There is a 34 inch door to the deck from the room.There is a large corner jetted tub in the bedroom area. The lever faucet handles and tub controls are accessible from both outside and inside the tub. There are long grab bars on the two corner walls about 11 inches above the top of the tub.The doorway to the bathroom is 34 inches wide, the door has a lever handle, and there is open space in the bathroom to maneuver a wheelchair. The bathroom includes a toilet, lavatory and shower.The toilet is 18 inches from floor to the top of the toilet seat. There is a grab bar adjacent to the toilet that is 43 inches long and 34 inches off the floor and a grab bar behind the toilet that is 37 inches long and 34 inches off the floor. The lavatory is 18.5 inches deep with lever faucet handles. It is 32.5 inches from the floor to the top of the lavatory and 29 inches from the floor to the bottom of the lavatory apron and there is a cover over the drain and pipes. The shower is 42 inches wide by 32 inches deep, the door to the shower is 25 inches wide and there is a shower pan with a 4.5 inch step-up into the shower. The room is equipped with a combination smoke and carbon monoxide alarm with strobe light. Check-in takes place upon arrival at the Main House. To the extent the Main House is not accessible due to the stairs to the Main House entrance or otherwise, check-in is available at the Garden House where there are no stairs to the front door entry. Should you not be able to access the Main House for check-in, upon arrival, please call 715-779-3676 or 715-209-8661 (cell) so the innkeepers can greet you and direct you to the Garden House and drop off area of the Garden House for check-in. Breakfast is served in the Main House breakfast room and/or dining room. There are stairs to the Main House, which may be inaccessible for those with certain disabilities. If that is the case, breakfast can be arranged to be served in your guest room. Please let us know upon check-in or before if this is required. Information about our website accessibility can be found in our ADA Accessibility Statement. Should you have any questions regarding ADA accessibility at Pinehurst Inn Bed & Breakfast, please call us or email us.